at 3.5-4 per cent in 2017. Kuwait’s non-oil growth is expected to improve to 3.5-4 per cent in 2017 and 2018, while inflation is also expected to remain in check as pressures from housing rent ease, and despite some upward pressures from subsidy cuts, a report said. The country’s non-oil activity has remained resilient since oil prices began retreating in 2014, thanks in large part to a strong projects pipeline and relatively limited fiscal adjustment, added the latest Economic Update from NBK, a leading bank in the region. Meanwhile, the fiscal deficit should narrow in 2017 and 2018 as oil prices improve and some additional fiscal adjustment is implemented. Despite healthy non-oil activity, overall GDP growth is expected to take a hit in 2017 as Kuwait continues to apply cuts to crude oil production agreed upon in conjunction with other Opec members. Those cuts, which are aimed at supporting oil prices, are expected to reduce Kuwait’s average crude output by 7-8 per cent in 2017. Overall GDP is likely to shrink by around 2.4 per cent in 2017, before returning to positive growth of 3.2 per cent in 2018. Capital spending has increasingly been driving non-oil economic activity, with the implementation pace holding up relatively well after a clear pick up in 2014. Project awards were healthy in 1Q17 at KD1.4 billion ($4.6 billion) according to Meed Projects. The figure is similar to the quarterly average in 2016. Another KD 6.2 billion in projects are in the bidding stage and could be awarded in 2017. The projects pipeline remains solid, given the government’s commitment to its development plan. The government remains committed to an ambitious capital spending program. 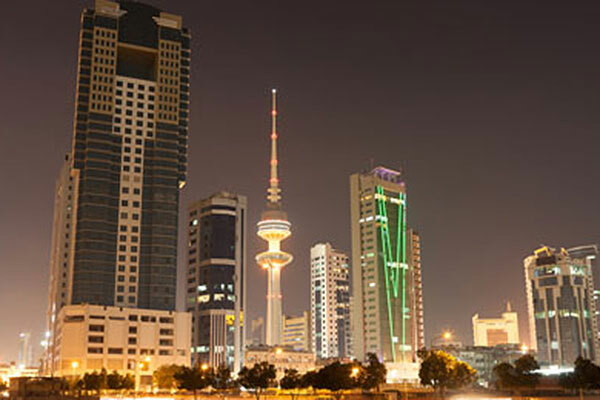 Indeed, the Kuwait National Development Plan (KNDP) was re-launched in 1Q17 under the “New Kuwait” slogan. The plan, also dubbed Kuwait Vision 2035. It seeks to transform the country into a financial, cultural and trade leader. The plan brings together a number of ongoing initiatives into a renewed and more comprehensive vision for the country’s development, which includes structural and fiscal reforms as well as capital spending plans. The KNDP targets investment of KD 34 billion through 2020, about a third of which will come from the private sector. A number of schemes are being implemented as public-private partnership projects (PPP), including the Al-Zour North and Khairan integrated power generation and water desalination projects. As a result of the infrastructure investment push, aggregate investment is expected to continue to see healthy growth. Expenditures on gross capital formation grew by 13 per cent in 2015 and could see real growth of 8-9 per cent on average in 2017 and 2018. This could further push up the share of investment in the economy to 23 per cent, the highest level recorded in over 20 years, and up from 19 per cent in 2015. The consumer sector has long been a robust and reliable source of growth in Kuwait. This began to change in 2015 and 2016, following the persistent decline in oil prices when households took a more cautious view of the economy. The sector continues to be supported by steady growth in employment and salaries, particularly in the government sector and among Kuwaiti households. Consumer spending continued to moderate in 1Q17, but maintained a decent pace. The value of point-of-sale transactions grew by 7.1 per cent year-on-year (y/y); while slower than the double-digit growth rates recorded in previous years, the pace held up relatively well thanks to steady growth in employment and wages. Household borrowing also moderated over the last year; growth in consumer debt eased to 6.7 per cent y/y in March 2017. Most of the weakness in the sector has come from lower consumer confidence. Ara’s index has been on a declining trend for over four years. It fell more rapidly in 2016 after the government hiked fuel prices and while it has since recovered somewhat from those levels, it remains relatively subdued. The index stood at 104 in April, surpassing the 100 mark for the first time in nine months. Employment growth among Kuwaiti nationals remains relatively healthy. While there has been a slowdown in private employment, this is due to the clampdown on “phantom employment”, which has resulted in a drop in reported employment numbers since mid-2015. However, employment of nationals in the public sector continued to see robust growth of around 3.5 per cent in 2016. Meanwhile, expatriate employment maintained healthy growth of 5.6 per cent. Credit growth has remained relatively healthy boosted by the resilience of non-oil GDP and the pace of capital spending, though a large corporate repayment in 4Q16 has distorted the figures. Credit growth in March stood at 3.6 per cent y/y. Gains were seen across a number of sectors led by “oil & gas”. Growth in “productive” sectors (excluding real estate and securities lending) accelerated to a robust 9.6 per cent y/y reflecting progress in Kuwait’s projects pipeline. Activity in the real estate market continued to decline year-on-year for the third consecutive year, but there are some early signs of stabilization. Sales during the 12 months through April 2017 were off by 22 per cent y/y. Most of the recent weakness has come from the investment and commercial sectors. Meanwhile, activity in the residential sector has been improving. The number of transactions in the sector during the three months through April 2017 was up 22 per cent y/y. Prices have also been showing signs of stabilizing, as reflected in NBK’s real estate price indices. Prices experienced an orderly correction during the last two years of around 18-20 per cent from the highs in the residential and investment sectors. However, since the middle of 2016, NBK’s price indices indicate that real estate values have been holding. Inflation eased in recent months after impact of the September 2016 hike in fuel prices faded and growth in housing rent began to moderate. Inflation eased to 2.6 per cent y/y in March compared to its peak at 3.8 per cent y/y in September 2016. Declining housing inflation was a welcome development, and comes after four years of accelerating price growth in the sector. Weakness in the real estate market no doubt began to makes itself felt. Rent inflation went from a recent high of 7.3 per cent y/y in mid-2016 to 4.3 per cent this past March. While oil prices have improved over the last year, the Ministry of Finance is expected to continue to register a deficit in the medium-term. With the price of oil expected to stay around $55-60 per barrel in 2017 and 2018, a deficit of 19 per cent of GDP is expected in FY16/17, after the mandatory allocation to the Future Generations Fund (FGF). The deficit is likely to narrow to around 14 per cent of GDP in FY17/18and to 12 per cent in FY18/19 as oil prices improve and additional fiscal reforms are implemented. Since oil prices began to decline in 2014, the government has taken a number of steps towards fiscal adjustment. A package of fiscal reforms was approved by the cabinet a year ago, including energy and water subsidy cuts, and the introduction of a corporate income tax and a value added tax (VAT). The National Assembly (NA) approved increases in electricity and water tariffs beginning in 2017. New taxes, including the VAT, are unlikely before 2019. “We estimate that these reforms will reduce the deficit by around 5-6 per cent of GDP by 2020, excluding the impact of higher oil prices,” NBK said. The government reduced government spending by around 15 per cent in FY15/16. Government spending is likely to have returned to positive growth in FY16/17.Spending during the first eight months of FY16/17 was above expectations at 98 per cent of the pro-rated budget, indicating growth of 1.5 per cent. The FY17/18 draft budget, which awaits National Assembly approval, projects expenditure growth of 5.3 per cent; we think it will be slightly lower at around 4 per cent. In March 2017, the government approved increases in electricity and water tariffs that were significantly lower than those mandated in legislation passed in May 2016. The subsidy cuts, to be introduced this year, will increase the electricity rates to 3-5 fils per kilowatt-hour (kWh) for the various sectors from the current 2 fils. Water tariffs will rise to KD 2 per 1,000 imperial gallons from the current KD 0.8. NBK estimates that the revenue increase from the new utility prices will be around KD 0.2billion or 0.6 per cent of GDP. Kuwait continues to enjoy a relatively comfortable fiscal position thanks to a low breakeven oil price and substantial overseas assets. Sovereign wealth fund assets at the end of FY16/17 are estimated to be near $560 billion or 450 per cent of GDP. While the bulk of the assets is in the Future Generations Fund (FGF), the General Reserve Fund (GRF), whose holdings are mostly liquid, is the one available to finance the deficit; holdings in the GRF are thought to be around KD 30 billion. Despite a substantial sovereign wealth fund, debt issuance has been key to deficit financing. “We estimate the government needed to finance around KD 6.3 billion in FY16/17 after the mandatory payment into the Future Generations Fund (FGF). Another KD 5 billion a year will be required to finance deficits in FY17/18and FY18/19,” NBK said in the report. During FY16/17, the government issued KD 2.2 billion in debt domestically and another KD2.4 billion ($8 billion) internationally, increasing the debt to KD 6.3 billion or 18 per cent of GDP by the end of March 2017.Sources indicate that the Ministry of Finance could tap the domestic debt market for around KD 1 billion in FY17/18 to finance a deficit that we expect to be around KD5 billion. This would increase the public debt to around 20 per cent of GDP by March 2018. Kuwait issued its first international bond, raising $8 billion at a pricing more attractive than other GCC sovereigns. Two tranches were offered, with a $3.5 billion 5-year tranche at 75 basis points (bps) over equivalent US Treasuries and a $4.5 billion 10-year tranche at 100 bps over Treasuries. The spread was below Abu Dhabi’s, which until now had been considered the “gold standard” in the GCC. In the secondary market, yields on the bonds have tightened somewhat since. The pricing reflected Kuwait’s solid credit rating (Moody’s: Aa2, S&P: AA, Fitch: AA) and strong international appetite for GCC debt. The press published details of a proposed law to double Kuwait’s sovereign borrowing ceiling to KD 20 billion. The law, which should replace one expiring this fall, would also permit the state to issue longer term debt (up to 30 years from the current 10 years). Kuwait continues to enjoy a healthy level of domestic liquidity despite the decline in oil prices. Limited fiscal adjustment and an effort to repatriate government funds have helped Kuwait avoid a liquidity squeeze similar to some of its GCC neighbours. Money supply (M2) growth has remained relatively steady at 2.7 per cent y/y through March 2017, though it is down from double-digit growth seen before 2014. Money supply (M2) to non-oil GDP was around 142 per cent in March, only slightly lower than its five-year average. After retreating during most of 2016, domestic interbank rates have risen since the end of 2016. This was largely due to two policy rate hikes by the Central Bank of Kuwait (CBK) in December 2016 and March 2017,each by 25 bps; the discount rate now stands at 2.75 per cent. Both hikes followed similar moves by the US Federal Reserve. Still, interbank rates did not see as large an increase. The 3-month KD interbank rate rose by only 25 bps from its low in December to 1.625 per cent, just before the first rate hike. The current account recorded its first deficit in over two decades in 2016, on the back of a decline in export earnings linked to lower oil prices. The current account balance registered a deficit of 4.5 per cent of GDP compared to a 3.5 per cent surplus in 2015. To finance the deficit, there was a drawdown of liquid government assets held overseas, which resulted in the first net inflow of assets since the early 1990s. NBK expects the current account to return to registering a surplus of 1-2 per cent of GDP in 2017. Following another strong 2016, the Kuwaiti dinar (KWD) retreated somewhat during the first five months of 2017, as the US dollar gave back some of its strong gains. The dinar index, which reflects the trade-weighted value of the currency, was off by 3.0 per cent year-to-date (ytd) through May, almost reversing the entire increase seen in 2016. The trade-weighted Kuwaiti currency had seen three consecutive years of strength, gaining around 3 per cent a year in 2014-2016. The dinar, which is pegged to a basket of major currencies with the USD having the largest weight, has increased by 0.7 per cent against the US currency since the start of this year.